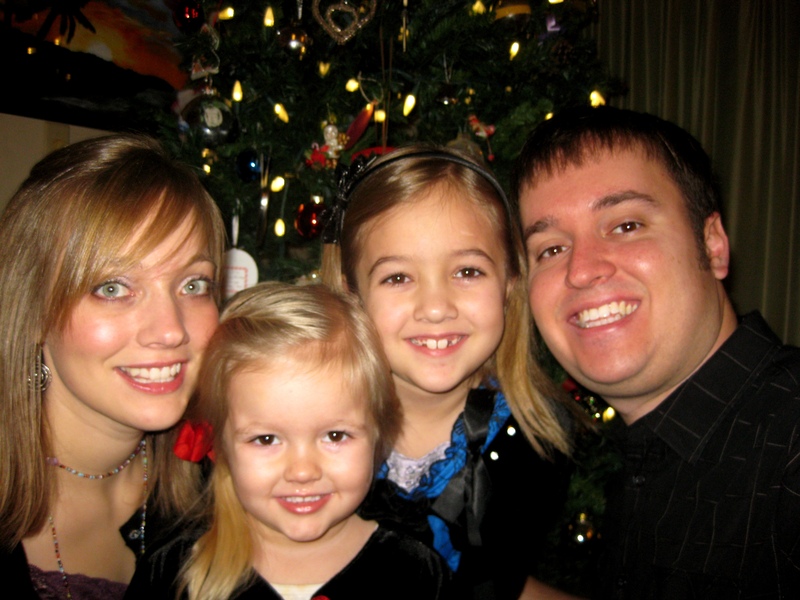 By now, many of you know that I used to dread the holidays. The rush, the stress, the purchasing of gifts we couldn’t really afford, trying to figure out how to merge old traditions with new ones… Thanksgiving and Christmas were one big busy expensive blur. In part one of this series, I offered four thought-provoking suggestions of how to slow down and savor the holidays. Part two focused entirely on gifts, including how to choose who to buy for, plus a list of things you can do with your kids that may be even more special than presents. If you haven’t read the rest of this series, I encourage you to read parts one and two first (I promise you’ll be glad you did! ), then continue with this article. It’s no secret that I’m a semi-reformed late person (heavy on the semi). What this means is I like to think I have plenty of time to prepare for everything, then at the last second I realize I’m out of time so I completely rush around trying to fit everything in. I’m going to suggest that we choose to avoid the last minute stress by actually preparing early this year. Let’s go ahead and bake or buy a pie, then freeze it until the day before a get-together. We can do a deep cleaning or minor home-improvement project now instead of waiting until the day company arrives. 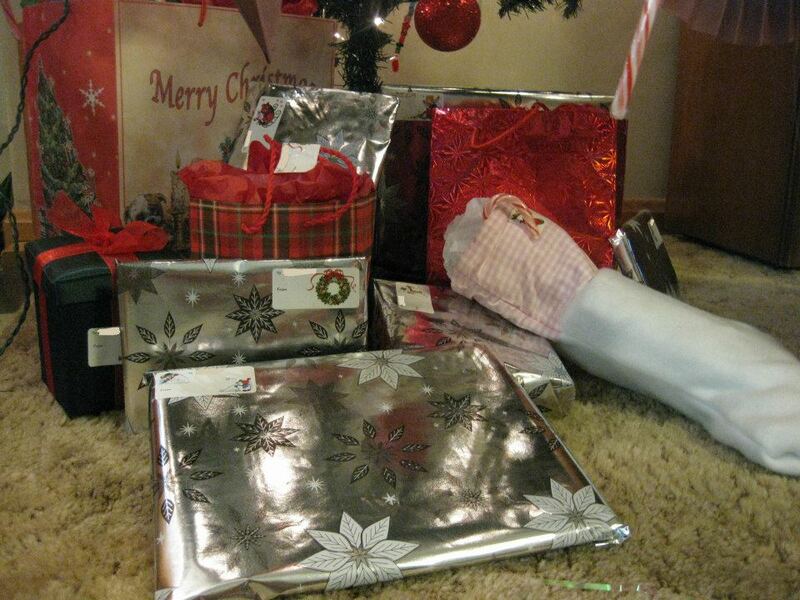 We can wrap and tag Christmas gifts as they’re purchased. We can even decide not to bother sending Christmas cards this year instead of stressing about it until it’s too late to send them anyways (or is that just me?!). 8. Set, and stick to, a budget. Even though it may seem counter-intuitive to add an extra to-do item onto a “slow down and savor” list, it is difficult to truly savor each moment if there’s a lingering worry of running out of money or wracking up more debt. I personally have found that having a budget helps tremendously. If you don’t have a Christmas budget yet, sit down and make one. Parts one and two of this series provide several ideas for ways to have an affordable holiday. For those of you who may be really strapped for cash this year, please take a minute to read this encouraging holiday article by Crystal Paine of MoneySavingMom.com. If you’d like a little help with setting a Christmas budget, check out this free and easy-to-use Holiday Budget Tool from Dave Ramsey.com. 9. Focus on cherishing the moment, not preserving the memory. Having a few good pictures can be really nice, but if we’re continually making others stop what they’re doing so we can take dozens of photos, then things are out of balance. I want to share a little secret with you that took me awhile to discover: The world looks different behind a lens. If we’re swept into photo-taking while loved ones are opening gifts, playing, cooking, etc, then we need to lower the camera and just watch and interact without letting a battery-operated rectangle block our view. It’s different. It’s better. And, when we put the camera away, we’re no longer just capturing moments on memory card – we’re impressing memories into our hearts. 10. Bless – don’t impress – others. We don’t need to stress ourselves out by trying to make sure everything measures up to what we think someone else’s standards may be. Whether it’s gift-giving, hosting an event in our homes, or cooking an item for a gathering at someone else’s house, let’s choose to bless – not impress – others by keeping things simple, imperfect, and low-stress. What about you? 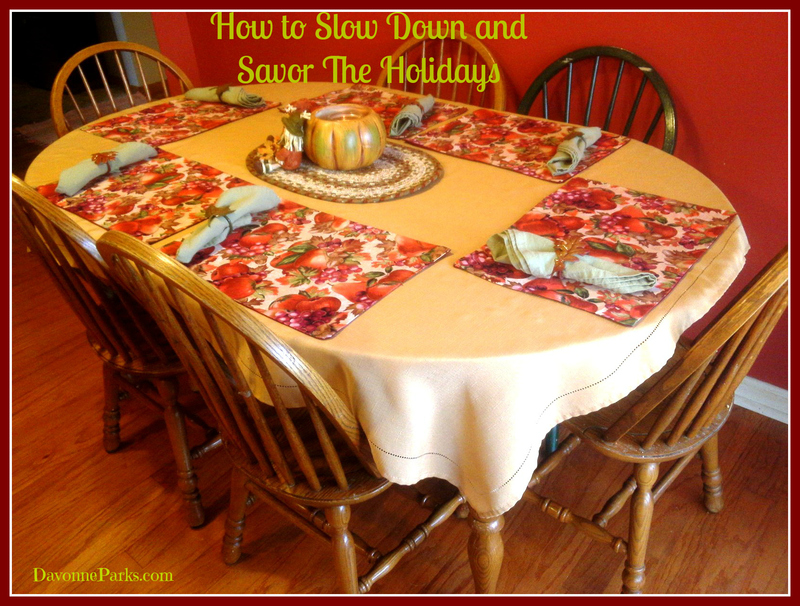 What simple ideas do you have that help you slow down and savor the holidays? I’d love to hear all about it, so please leave a comment with your Holiday Simplification ideas. If you’ve blogged about this topic, include a link to your post in the comments! You can include simple recipes, simple gift ideas, simple decorating tips, etc. NOTE: I’d love to figure out how to add a link-up to this post. I’ve been trying but am having technical difficulties, so please e-mail me if you can help. 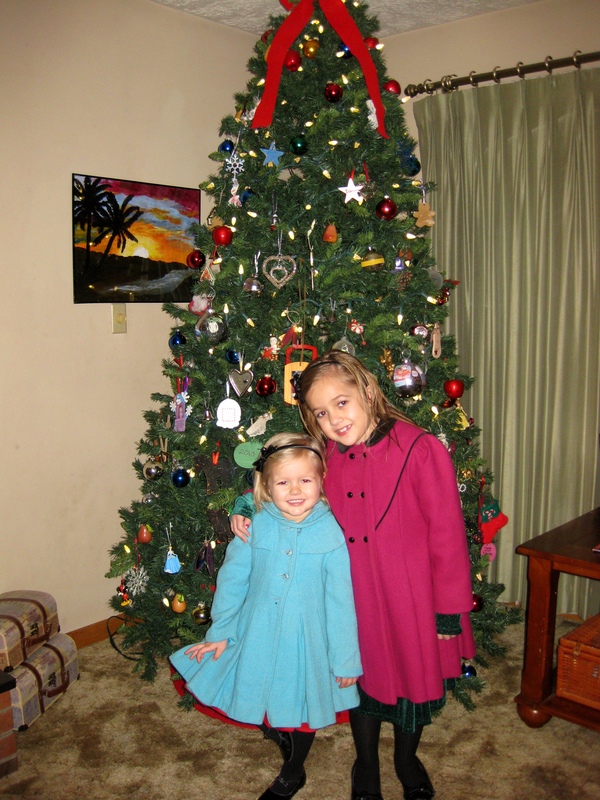 Have a Joyously Simple holiday season!